Houston, TX (January 7, 2013) — Welcome to a place where the unexpected happens every day in Sentai Filmworks’ newest acquisition: Tamako Market. Houston, TX (January 4, 2013) — Sentai Filmworks is proud to announce its newest acquisition: Psychic Detective Yakumo. San Francisco, CA. (January 3, 2013) – Crunchyroll, Inc., continues its winter simulcast announcements with the addition of Student Council’s Discretion Level 2, which is set to broadcast every Wednesday starting on January 9th at 10:00 am Pacific Time for its premium members. Houston, TX (January 3, 2013) — Return to the Bee Hive with Sentai Filmworks and their newest acquisition: Tegami Bachi: Reverse. Houston, TX (January 3, 2013) --- Maiden Japan today announced its acquisition of the compelling animated drama Tokyo Magnitude 8.0. Atlus, the video game publishing brand of Index Digital Media, Inc., today announced that Demon's Souls, the award-winning action RPG for PlayStation®3 (PS3) Computer Entertainment System, will be coming in downloadable form to the PlayStation®Network (PSN) on 1/8/13 for $19.99. San Francisco, CA (January 3, 2013) – Crunchyroll, Inc., is proud to announce the acquisition of the comedic Ishida & Asakura anime, which is set to broadcast every Saturday starting on January 5 at 5:00 pm Pacific Time for premium members. 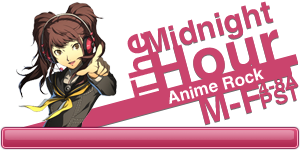 San Francisco, CA (January 2, 2013) – Crunchyroll, Inc., has acquired the Cuticle Detective Inaba anime as part of its winter simulcasts, and is set to broadcast every Friday starting on January 4, at 7:00pm Pacific Time for its premium members, and January 11 for free members. San Francisco, CA (January 2, 2013) – Crunchyroll, Inc., continues its winter simulcast announcements with the addition of Maoyu, which is set to broadcast every Friday starting on January 4th at 10:00 am Pacific Time for its premium members. San Francisco, CA (January 2, 2013) – Crunchyroll, Inc., in partnership with Aniplex of America,?gears up to simulcast its latest acquisition of Oreshura, which is set to broadcast every Saturday starting on January 5, at 9:00 am Pacific Time for premium members.